Tag Archive | "Bill Schuette"
Michigan Attorney General Bill Schuette announced he has filed a class action lawsuit against the West Michigan-based fitness chain, Family Fitness, in Kent County Circuit Court. The complaint asks the Court to put a stop to various practices by Family Fitness that allegedly violate Michigan’s Consumer Protection Act, and seeks monetary relief on behalf of consumers. This action comes after Schuette has received 286 consumer complaints against Family Fitness in 2017. There are fourteen Family Fitness centers in West Michigan, with locations in Allendale, Alpine, Grand Rapids, Grandville, Holland, Muskegon, North Muskegon, Norton Shores, Plainwell, Portage, Sparta, Standale, and Wyoming. In July 2017, the Attorney General issued a cease-and-desist order to Family Fitness after receiving numerous complaints asserting that the fitness chain was holding consumers responsible for paying hundreds, or even thousands of dollars on cancelled gym membership and personal training contracts. Many consumers had received credit reporting information showing they were being pursued by a collection agency acting on Family Fitness’ behalf. In that notice, the Attorney General advised that his staff would continue reviewing documents and interviewing consumers and then would determine whether it was necessary to open a formal investigation or file a lawsuit. *In recent situations, Family Fitness appears to be putting consumers under duress to enter into new membership agreements by telling them that is the only way they can remove prior alleged debts for which the consumers have been put into a collections process. Family Fitness operates through a series of limited liability companies formed under Michigan law, each of which has been named as a defendant in the lawsuit. The Attorney General anticipates bringing a motion for injunctive relief that will seek to require Family Fitness to adhere to the requirements of the Consumer Protection Act. Meanwhile, Family Fitness will have an opportunity to respond to the lawsuit by either filing a motion or answer with the Court. 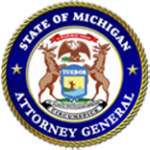 Consumers may file a complaint online by going to https://secure.ag.state.mi.us/complaints/consumer.aspx, otherwise they may send their complaint by regular mail or fax as listed below. If you have any questions, please call the Consumer Protection Division Monday through Friday from 8:30 AM to 4:30 PM at 517-373-1140 or toll free 877-765-8388. Michigan Attorney General Bill Schuette called attention to best practices to be used by Michigan consumers, in this case brides-to-be, when protecting themselves from bankrupt retailers. This notice results from the nationwide shutdown of bridal gown retailer, Alfred Angelo, which has left brides across Michigan wondering if they’ll be without a dress and without a refund on their wedding day. Concerned customers can visit the Better Business Bureau’s report on Alfred Angelo’s closure at http://bbb.org/h/jubg where updates will be posted as more information becomes available. If you wish to be contacted regarding your order status once information is available, you can send an email to: alfredangelo@mjstrustee.com. In the meantime, Schuette warned Michigan residents to beware of online donations and crowdfunding pages. When unfortunate events occur, it attracts potential scammers who are looking to take advantage of the situation. Beware of anyone who claims they can help you retrieve your dress from a store for a fee, or any crowdfunding pages looking to raise money for a dress they lost. Only communicate with a designated bankruptcy trustee. If you paid with a credit card, contact your credit card company to dispute the charges and have all related charges removed from your bill. You should be able to find information regarding how to dispute charges on your monthly statements. If you paid by check, contact your bank to determine if you can stop any payment. If you arranged for long-term financing, contact the financing company and dispute any payment for goods or services that have not been delivered. If you arranged for some form of automatic payment plan, contact your bank or credit union to immediately stop any future withdrawals from your account. If a business unexpectedly closes, and they fail to deliver goods or services, you should file a complaint as soon as possible to help minimize any potential loss and maximize the Consumer Protection Division›s ability to intervene. The Consumer Protection Division will try to recover as much as possible for consumers before a business files for bankruptcy. If a business is located out of state, also file a complaint with that state’s Attorney General. Gather receipts, invoices, or bills that show what items were ordered, what you paid, and when delivery was promised. Document all transactions in order to assist investigators and to support any possible legal claims. Keep any phone records or any notes that indicate which company employees you spoke with and when those conversations occurred. Try to contact the company’s headquarters or “customer service” line or use their website to lodge a formal complaint with the company. Even if a business suddenly closes, that business is still required to protect your personal financial information. In 2015, we lost 963 Michigan residents to car accidents. And we lost 1,981 to overdoses. Heroin is available in every town in Michigan and can be purchased for less than the price of a few snacks at the gas station. I’ve sat down with the victims in this crisis. I’ve looked them in the eye and heard their stories. I’ve heard the pain in their voices and recognized their guilty and broken spirits. For many in the grips of this addiction, it’s not even about feeling good anymore, it’s about not feeling bad. What will it take for us to provide help, and not punishment, for those struggling with addiction? Our children are dying and government isn’t paying enough attention to what really needs to be done. We need an attack from all angles. In April, the State of Michigan received $16 million from the Trump administration to combat opioid addiction. Eighty-percent of the funds will go toward treatment, and 20% will go toward preventative measures. I have also asked the Legislature to direct the nearly $1 million from a settlement with a pharmaceutical company I recently negotiated to proven high-quality education and awareness programs about opioid addiction. A multi-faceted public awareness campaign: We can’t stop addiction just through treatment, we need education programs in place from elementary school to high school and in our health care facilities to make sure that there is no question on how damaging opioids are to the human body and mind. Resources for addicts and families: Michigan has a piecemeal approach that spans across various state departments and doesn’t give those struggling or their families a central place to turn for help and resources. This doesn’t work. The State of Michigan needs a resource for families on how to get help for addiction available 24-7 online and by phone with a toll-free 1-800 number. Aggressive law enforcement efforts: I announced this week that my new Opioid Trafficking and Interdiction Unit, designed to catch those moving heroin and other opioid-based drugs across our state, is up and running. My team is working with local, state and federal law enforcement to go after both the heroin traffickers and the overprescribing doctors that are flooding our cities and towns with readily available, deadly drugs. This isn’t about catching those with a single dose of heroin struggling in the grips of addiction, it’s about getting the high-dollar distributor that supplies hundreds of people with a quick and potentially deadly high. Strong treatment plans: We need to combat opioid addiction with intensive inpatient and outpatient treatment programs that follow regimented and proven techniques to rid a person of addiction. Sending addicts to jail without a program to help them overcome their addiction doesn’t end the cycle, it makes the pull that much stronger when they leave. Whether it’s the proven results of Narcotics Anonymous, or another recognized program, we need to refocus our efforts to reach those incarcerated to make sure they can re-enter our communities without their addiction and with a plan for the future. We can’t arrest our way out of this problem. We need to take a hard, but compassionate look at what we are doing to prevent and treat addiction before it can hurt more of us. Bill Schuette is attorney general of Michigan. Michigan Attorney General Bill Schuette recognized the start of Severe Weather Awareness Week this week by releasing a new “After the Disaster” consumer alert providing Michigan residents with tips to avoid be scammed after a severe weather event. Price Gouging – Basic goods and services are top priorities after disaster strikes: the demand for certain services increases and scammers take advantage. Scammers attracted by FEMA payments – Scammers swarm to weather disasters to take advantage of otherwise careful consumers who have FEMA money for repairs and want to act quickly to avoid further problems like mold or rot. Emergency home repairs – Home repair and disaster cleanup scams can be avoided if you know what to look for and take your time before you hire anyone. Government Imposters – Criminals use everything from legitimate government references and threats of government action, to promises of government assistance to trick disaster victims. Sudden business closures – If a business suddenly closes that you have dealings with, act quickly to stop any further charges or any scheduled payments by your bank or card company. Flood-damaged vehicles – Flood-damaged cars can be shipped across the country to a car lot in your neighborhood just days after a flood. Many flood-damaged cars appear for sale on the internet or at car lots far away from the disaster without any mention or obvious signs of the damage. Disaster relief charity scams — Scam artists see disaster tragedies as opportunities to enrich themselves. Check credentials: Michigan law requires a Residential Builder license for any project costing $600 or more. FEMA inspectors verify damages, but they do not involve themselves in any repair, and they do not “certify” any contractor. Weather disasters and other unpredictable conditions can trigger suddenly higher prices. File a consumer complaint with the Attorney General’s Consumer Protection Division if you suspect price gouging. Don’t put your hard-earned money into a flood-damaged lemon: inspect vehicles closely or take it to an independent mechanic to inspect. The Cedar Springs Public Schools district accomplished a lot of good things in 2016, one of them being the adoption of the statewide OK2Say program, a student safety initiative that enables students to confidentially report criminal activities or potential harm directed at students, school employees, and schools. Attorney General Bill Schuette was on hand for the kick off of the program last spring. Students can confidentially submit tips anytime by using the OK2SAY mobile app, online, email, texting, or by calling trained program technicians. Upon receipt of a tip, specially trained OK2SAY technicians address the immediate need and forward the information to the appropriate responding law enforcement agency or organization. Tips go to schools, local law enforcement agencies, community mental health agencies or the Michigan Department of Health and Human Services. The state program, which started in fall 2014, just happened to be inspired by our current Assistant Superintendent of Teaching and Learning, Jo Spry, before she came to Cedar Springs. Schuette honored Spry during the program with a special license plate in a frame that reads “OK2SAY.” Spry did not know that was going to happen. In order to beef up security for the 2016-17 school year, the Cedar Springs Public School district partnered with the Kent County Sheriff Department to bring a school resource officer to the school campus. Deputy Tom McCutcheon, who began his career with the KCSD in 1993, was chosen to fill that role. He spent many years as a D.A.R.E (Drug Abuse Resistance Education) Instructor, speaking in many different school districts, including Cedar Springs. The position will be jointly funded by the school and the county. The Kent County Sheriff Department offered to fund 30 percent of the program. The outstanding cost to the district would be approximately $76,000, after the Sheriff Department’s contribution. The cost would cover wages and benefits for 40 hours per week for the deputy; all standard issued deputy equipment; a Kent County Sheriff car, fully equipped, fueled and maintained; and all police training and supervision. Cedar Springs announced in May that they had earned their North Central Accreditation through AdvanceEd, a global leader in providing continuous improvement and accreditation to over 32,000 institutions worldwide. The district went through a rigorous and detailed review last school year that culminated with an external review team conducting a 3-day on site, after which they awarded the district the distinction of this national accreditation. “It is so evident that you really care about your students and should be proud of your district, from the top all the way down,” said presenter Vicki DeMao, of AdvanceEd. The five-person team from AdvanceEd interviewed 120 stakeholders in the district, consisting of the superintendent, board members, administrators, teachers, support staff, parents/community members, and students. They also visited 32 classrooms in all seven buildings and observed students. The report showed what powerful practices (or strengths) that the district had in various areas, and what ways they could improve. The school district must go through this process every five years. They were last accredited in 2011, and it was good through June 2016. If a student gets sick at Cedar Springs Public Schools, they don’t have to wait to be picked up by a parent and then wait for an appointment with the family doctor. Instead, with a parent’s permission, they can be seen right on campus the same day at the newly renovated Cherry Health Center. The Cherry Health Center, located at Red Hawk Elementary, celebrated their grand reopening on Tuesday, October 18, with a ribbon cutting, speakers, tours and refreshments. Services are provided regardless of ability to pay, but insurance may be billed when possible. Students must have parental consent on file to be treated. “Any student ages 3-21 can be seen in the health center, regardless of whether or not they attend CSPS,” said Aldrich. “Therefore, if a student attends CSPS, a charter or private school, or is homeschooled, they can come to the health center.” Those younger than three must be a sibling of a student using the health center. The health center offers on-site Medicaid enrollment assistance, well- child checks, immunizations, same day appointments for acute issues, referrals for more serious illness/injuries, hearing and vision screenings and more. The health center is open from 7:30 a.m. to 4 p.m. Monday through Friday. 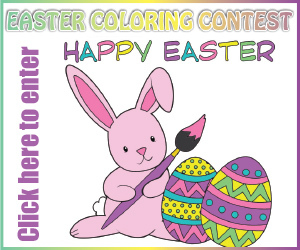 For more information or to make an appointment call (616) 696-3470. Michigan Attorney General Bill Schuette filed charges this week against two former State of Michigan Emergency Managers—Darnell Earley and Gerald Ambrose—with multiple 20-year felonies for their failure to protect the citizens of Flint from health hazards caused by contaminated drinking water. “All too prevalent in this Flint Water Investigation was a priority on balance sheets and finances rather than health and safety of the citizens of Flint,” said Schuette. Additionally, Schuette announced that Earley and Ambrose, along with ex-City of Flint executives Howard Croft and Daugherty Johnson, also face felony charges of false pretenses and conspiracy to commit false pretenses related to their roles in a process that led to the issuance bonds to pay for a portion of the KWA water project. Genesee County Prosecutor David Leyton, Flint Water Investigation Special Prosecutor Todd Flood, and Chief Investigator Andy Arena joined Schuette in the announcement, the third round of criminal charges brought by Schuette in the Flint Water Investigation. Schuette has also filed a round of civil law suits against water supply engineering firms. The false pretenses and conspiracy to commit false pretense charges against Earley and Amborse are based on the Defendants gaining authorization to borrow millions using the alleged reason of an environmental calamity. Without the funds from Flint, the Karegnondi Water Authority (KWA) Pipeline would have to be mothballed. However, as a bankrupt city, Flint needed the Michigan Department of Treasury’s approval to get loans. Emergency Manager Earley’s attempts to get funds in January and February of 2014 were rejected because the City was in receivership, had a $13-million deficit and no credit rating. State law banned the City from accumulating any more debt. However, the Defendants allegedly used the Home Rule City Act emergency bond clause, created to deal with cases of “fire, flood, or other calamity,” to borrow the tens of millions required to pay for Flint’s portion of the KWA. The clean-up of a troublesome lime sludge lagoon—holding by-products of water treatment—became the vehicle to get a state waiver for the bonds. To make the situation even worse, tucked inside the 15-page Statement of Purpose for an upgrade of Flint’s Water Treatment Plant system was a one-paragraph requirement that bound the city to use the Flint River as an interim water source, and the Flint Water Treatment Plant as the sanitizing and distribution center. The Flint Water Treatment Plant, however, was not ready to produce safe, clean water to the citizens of Flint. Regardless, the Defendants mandated the City to use the Flint Water Treatment Plant as part of the deal to get the ability to issue bonds. Defendants Croft and Johnson allegedly pressured employees of the Flint Water Treatment Plant to get the plant in working order before April of 2014, the scheduled date for re-start. When the deadline closed in, rather than sound the alarm, the defendants allegedly ignored warnings and test results and shut off the pipes pulling clean water from Detroit, and turned on the Flint River valves. *False Pretenses, Felony: 20 Years and/or $35,000, or 3 times the value of the money or property involved, whichever is greater. He allegedly participated in a process that allowed the use bonds to fund the construction of the KWA pipeline despite the City’s problem with its high debt level. The City of Flint, with MDEQ approval, used an exception to state law by claiming the bonds were needed to fund an emergency cleanup of a retention pond, when in fact the funds were intended to pay for the KWA. During that time, the defendants actively worked in various fashions to discourage a return to using water produced by the Detroit Water and Sewer Department, require the use of Flint River water through a Flint Water Treatment Plant, that was deemed unready for service by several people involved with its management, and to ensure the construction of the KWA. *Conspiracy to Commit False Pretenses, Felony: 20 Years and/or $35,000, or 3 times the value of the money or property involved, whichever is greater. He allegedly allowed the Flint Water Treatment Plant to produce water despite knowledge the plant was not ready for use, allowed Flint to enter into a contract requiring use of the Flint Water Treatment Plant during that time, and authorized false and misleading public statements that the water was safe to drink. He allegedly failed to perform his duty of protecting the public health. He allegedly obstructed and hindered a healthcare investigation conducted by the Genesee County Health Department with regard to the Legionnaires’ disease outbreak. Allegedly failed to perform his duty of protecting the public health. Croft and Johnson are alleged to have aided and abetted Defendants Ambrose and Earley in in a process that allowed the use bonds to fund the construction of the KWA pipeline despite the City’s problem with its high debt level. The City of Flint, with MDEQ approval, used an exception to state law by claiming the bonds were needed to fund an emergency cleanup of a retention pond, when in fact the funds were intended to pay for the KWA. During that time, the defendants actively worked in various fashions to discourage a return to using water produced by the Detroit Water and Sewer Department, require the use of Flint River water through a Flint Water Treatment Plant, that was deemed unready for service by several people involved with its management, and to ensure the construction of the KWA. As of today, in total, Schuette has filed 43 criminal charges against 13 current and former state and local officials since the start of the Flint Water Investigation, which has included interviews with approximately 200 witnesses. The first round of criminal charges from Schuette’s Flint Water Investigation were filed on April 20, 2016 against two Michigan Department of Environmental Quality (MDEQ) employees and one City of Flint employee. Schuette’s second legal action took place on June 22, 2016, when he filed a civil suit against water infrastructure firms Veolia and Lockwood, Andrews & Newnam for their roles in the Flint water poisoning crisis. In July, Schuette filed 18 criminal charges against four current and two former employees from two state departments. “The crisis in Flint was a casualty of arrogance, disdain and a failure of management. An absence of accountability. We will proceed to deliver justice and hold those accountable who broke the law,” commented Schuette. Schuette’s investigation remains ongoing and the charges filed do not preclude additional charges later. A charge is merely an accusation, and the defendant is presumed innocent until and unless proven guilty beyond a reasonable doubt. Phillips was sentenced December 9, 2016 before Judge Peter Wadel in 79th District Court Court. He was convicted by a jury of second-degree murder on October 14, 2016, following a two- week trial. The conviction followed a joint prosecution by the Attorney General’s office and Mason County Prosecutors Office and a multi-jurisdictional investigation by local, state and federal authorities. “I’d like to thank Mason County Prosecutor Paul Spaniola, Chief Mark Barnett, Sheriff Kim Cole, the Michigan State Police and the Federal Bureau of Investigation for providing their assistance in this trial and prior investigation,” said Schuette. Phillips was the last person to be seen with four-and-a-half-month-old Katherine Phillips on June 29, 2011. After an argument, Phillips took the infant from her mother’s home. For the next two hours he was unreachable and his whereabouts were unknown. When Phillips resurfaced at his parents’ house, his daughter was gone. The clothes she had been wearing were found in the pocket of the cargo shorts Phillips was wearing, while her empty car seat and diaper bag were found in the trunk of his vehicle. His actions and statements following this led to a charge of unlawful imprisonment of the infant. 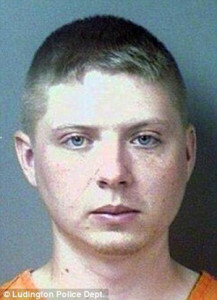 Phillips was convicted of unlawful imprisonment in 2012 by Mason County Prosecutor Paul Spaniola, resulting in a 10-15 year prison sentence for Phillips. Since August 2012, Attorney General Schuette’s Appellate Division has represented Mason County in opposing Sean Phillips’ appeal of that conviction. This evidence along with statements made while Phillips was serving his unlawful imprisonment sentence then led to the current murder charge. Schuette and Spaniola filed one open murder charge against Phillips, of Scottville, on October 4, 2013, more than two years after Baby Kate went missing. The charge alleged that Sean Phillips murdered his daughter, Katherine ‘Kate’ Phillips on June 29, 2011. By definition, an Open Murder charge allows jurors to determine the level of the defendant’s culpability. He was found guilty by a jury of second-degree murder in October 2016. Despite exhaustive efforts by law enforcement over the past five years, Baby Kate has never been found. Michigan Attorney General Bill Schuette announced on Friday, July 29, the third legal action of his Flint Water Investigation, filing 18 criminal charges against four current and two former employees from two state departments. The charges are a result of actions taken by officials at the Michigan Departments of Environmental Quality and Health and Human Services that Schuette says contributed to the Flint water-poisoning crisis by withholding vital information from the public about ongoing lead poisoning and allowing the continued distribution of corrosive water from the Flint Water Treatment Plant. Schuette was joined at the announcement by Genesee County Prosecutor David Leyton, Flint Water Investigation Special Prosecutor Todd Flood, and Chief Investigator Andy Arena. As of today, Schuette has filed criminal charges against nine current and former state and local officials since the start of the investigation, which has included interviews with nearly 180 witnesses. 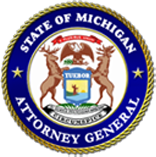 In the third legal action of the investigation, today a total of 18 criminal charges (12 felonies and 6 misdemeanors) were filed in Genesee County’s 67th District Court in Flint against six individuals, three from the Michigan Department of Environmental Quality (MDEQ) and three from the Michigan Department of Health and Human Services (MDHHS). The new charges include high-ranking officials at the MDEQ who failed in their duties to ensure the provision of safe drinking water and worked to make sure the Flint Water Treatment Plant stayed up and running regardless of the outcome or warning signs its operation was resulting in water poisoned with lead. Liane Shekter-Smith: Charges allege that former high-ranking MDEQ official Liane Shekter-Smith, then-Chief of the Office of Drinking Water and Municipal Assistance, held key responsibilities for ensuring the provision of clean, safe drinking water for the citizens of Flint. Despite receiving notice of citizen complaints about water quality and knowledge of a Legionnaires outbreak and issues with lead levels, Shekter-Smith, in her high-ranking position that included supervision of key MDEQ employees, not only allegedly failed to take corrective action or notify public health officials but, in fact took steps to mislead and conceal evidence from health officials in phone calls revealed by the investigation. Adam Rosenthal: Charges allege that current MDEQ employee Adam Rosenthal, who worked in Shekter-Smith’s section, was warned by Flint Water Treatment Plant officials that they were not ready for operations and was later warned by the EPA that high levels of lead is usually due to particulate lead, signaling a corrosion problem. Charges allege that in 2015, Rosenthal willfully participated in the manipulation of lead testing results and falsely reported that the 90th percentile of the results for lead water testing was below the federal action level. Eventually, a July 28, 2015 report was altered to exclude some high lead tests and Rosenthal forwarded the altered report on. Previously charged MDEQ employees Busch and Prsyby were also allegedly involved. Patrick Cook: Charges allege that Cook, who is the current MDEQ official responsible for compliance with lead and copper monitoring, signed a permit in 2014 that was the last approval necessary for the use of the Flint Water Treatment Plant. Cook subsequently was aware of problems with the water in Flint but allegedly took no corrective action in his duty to ensure the provision of clean, safe drinking water in Flint. Cook allegedly mislead the EPA regarding the necessity of using corrosion control in Flint after the switch when he allegedly forwarded information he knew to be false to the EPA in response to its inquire. New charges allege that these MDHHS defendants discovered that Flint children were being poisoned by lead but suppressed that information, keeping it from reaching doctors and health officials who sought to protect the welfare of the children and citizens of Flint. Nancy Peeler, Robert Scott and Corinne Miller: In July of 2015, Nancy Peeler, Director of the MDHHS Program for Maternal, Infant, and Early Childhood Home Visiting, requested an internal report on blood lead level data in Flint children. That report, created on July 28, 2015 using sound scientific principles, showed a significant spike— higher than usual— in blood lead tests for Flint children for the summer of 2014. However, the charges allege that that report was buried, never forwarded by Peeler or others to appropriate health officials. Peeler then joined with a different MDHHS employee, Robert Scott, the Data Manager for the Healthy Homes and Lead Prevention program, and created a second report, issued two days after the initial report. The second report falsely indicated no statistically significant rise in blood lead levels of children in the summer of 2014. Meanwhile, Corinne Miller, the then-Director of the Bureau of Epidemiology and State Epidemiologist, received the first report but instructed others not to take action, rebuffing other employees who asked about next steps of action. The charges allege that Miller later instructed another MDHHS employee to delete emails concerning the original blood lead data report from July 28, 2015. The investigation also revealed that on day the first blood lead level report was created, July 28, 2015, there was communication between MDEQ Defendant Liane Shekter-Smith and MDHHS. This was the same time that MDEQ defendants allegedly were manipulating lead water results to conceal unsafe lead levels. Despite knowledge to the contrary, the investigation showed that Shekter-Smith allegedly told MDHHS that there were no lead issues with Flint’s drinking water. The first round of criminal charges from Schuette’s Flint Water Investigation were filed on April 20, 2016 against two Michigan Department of Environmental Quality (MDEQ) employees and one City of Flint employee. Schuette’s second legal action took place on June 22, 2016, when he filed a civil suit against water infrastructure firms Veolia and Lockwood, Andrews & Newnam for their roles in the Flint water poisoning crisis. Schuette’s investigation remains ongoing and the charges filed today do not preclude additional charges at a later date. “The victims are real people, families who have been lied to by government officials and been treated as expendable. But when our investigation is completed and our prosecutions are successful—and we believe they will be—then accountability and justice will be delivered to families of Flint and families of Michigan,” said Schuette. Michigan Attorney General Bill Schuette announced Wednesday, April 20, that he filed a total of 13 felony charges and 5 misdemeanor charges against two state officials and one city official as a result of their actions in the Flint water contamination crisis currently gripping the city. Michael Glasgow, 40, City of Flint Laboratory and Water Quality Supervisor (1 felony, 1 misdemeanor). The maximum sentences for each of the felonies, which are summarized below, range from 4-5 years in prison, with fines for each in a range between $5,000-$10,000. The charges are the first announced as a result of Schuette’s investigation into the crisis, which is being conducted by Special Prosecutor Todd Flood, Chief Investigator Andy Arena, and Deputy Chief Investigator Ellis Stafford. Genesee County Prosecutor David Leyton is also working with Schuette on the investigation and joined Schuette in Flint for Wednesday’s announcement. “We are working closely together on this investigation because the people of Flint deserve nothing less than the truth and we will keep working until we get to the bottom of this,” said Leyton. It is alleged that between February 2015 and November 2015, they committed misconduct in office, an indictable offense at common law, by willfully and knowingly misleading federal regulatory officials in the Environmental Protection Agency, including, but not limited to, Miguel Del Toral, and/or Genesee County Health Department officials, including, but not limited to, James Henry, in violation of his duty to provide clean and safe drinking water to the citizens of the County of Genesee, State of Michigan and to protect the public health; contrary to MCL 750.505. It is a felony punishable by 5 Years in prison and/or $10,000.00. It is alleged that defendants on or about January 2015, through November 2015, defendants did unlawfully conspire, combine, confederate and agree together with persons, both known and unknown to the People of the State of Michigan, to commit an offense prohibited by law, to wit: Tampering with Evidence, including but not limited to manipulating monitoring reports mandated by law; contrary to MCL 750.157a. It is a felony punishable by up to 4 years in prison and/or $10,000.00. It is alleged that defendants did knowingly and intentionally remove, alter, conceal, destroy, or otherwise tamper with evidence, to wit: reports entitled “Lead and Copper Report and Consumer Notice of Lead Result” dated February 27, 2015 and/or July 28, 2015 and/or August 20, 2015; contrary to MCL 750.483a(6)(a). It is a felony punishable by 4 years in prison and/or $5,000.00. 325.1001. It is a misdemeanor punishable by 1 year and/or $5,000.00 for each day of violation. running the water for five minutes the night before drawing a water sample and/or did fail to collect required samples included in the Tier 1 category of serviced lines and/or did remove test results from samples to be included in the Lead and Copper Report and Consumer Notice of Lead Result; contrary to MCL 325.1001. This is a misdemeanor punishable by 1 year and/or $5,000.00 for each day of violation. It is alleged that the defendant did, on or about April 4, 2014, commit misconduct in office, an indictable offense at common law, by authorizing a permit to the Flint Water Treatment Plant knowing the Flint Water Treatment Plant was deficient in its ability to provide clean and safe drinking water for the citizens of the County of Genesee, State of Michigan; contrary to MCL 750.505. This a felony punishable by 5 years in prison and/or $10,000.00. It is alleged that defendant did knowingly and intentionally remove, alter, conceal, destroy, or otherwise tamper with evidence to be offered in an official proceeding, to wit: the report entitled “Lead and Copper Report and Consumer Notice of Lead Result” dated February 27, 2015 and/or July 28, 2015 and/or August 20, 2015; contrary to MCL 750.483a(6)(a). This is a felony punishable by 4 years and/or $5,000.00. It is alleged that defendant did willfully neglect to perform a duty enjoined upon him by the Michigan Safe Drinking Water Act, to wit: by failing to perform the duties of an F-1 Certified Operator employed by the Flint Water Treatment Plant; contrary to MCL 750.478. This is a misdemeanor punishable by 1 year and/or $1,000.00. Schuette noted the investigation remains fully active and that the charges filed do not preclude additional charges at a later date.